Moore stated in 1985 that if the Watchmen limited series was well-received, he and Gibbons would possibly create a 12-issue prequel series called Minutemen featuring the 1940s superhero group from the story. DC offered Moore and Gibbons chances to publish prequels to the series, such as Rorschach's Journal or The Comedian's Vietnam War Diary, as well as hinting at the possibility of other authors using the same universe. Tales of The Comedian's Vietnam War experiences were floated because The 'Nam was popular at the time, while another suggestion was, according to Gibbons, for a "Nite Owl/Rorschach team''. Neither man felt the stories would have gone anywhere, with Moore particularly adamant that DC not go forward with stories by other individuals. Gibbons was more attracted to the idea of a Minutemen series, because it would have "[paid] homage to the simplicity and unsophisticated nature of Golden Age comic books—with the added dramatic interest that it would be a story whose conclusion is already known. It would be, perhaps, interesting to see how we got to the conclusion." In 2010, Moore told Wired that DC offered him the rights to Watchmen back earlier that week, if he would agree to prequel and sequel projects. Moore said that "if they said that 10 years ago, when I asked them for that, then yeah it might have worked ... But these days I don't want Watchmen back. Certainly, I don't want it back under those kinds of terms." DC Comics co-publishers Dan DiDio and Jim Lee responded: "DC Comics would only revisit these iconic characters if the creative vision of any proposed new stories matched the quality set by Alan Moore and Dave Gibbons nearly 25 years ago, and our first discussion on any of this would naturally be with the creators themselves." 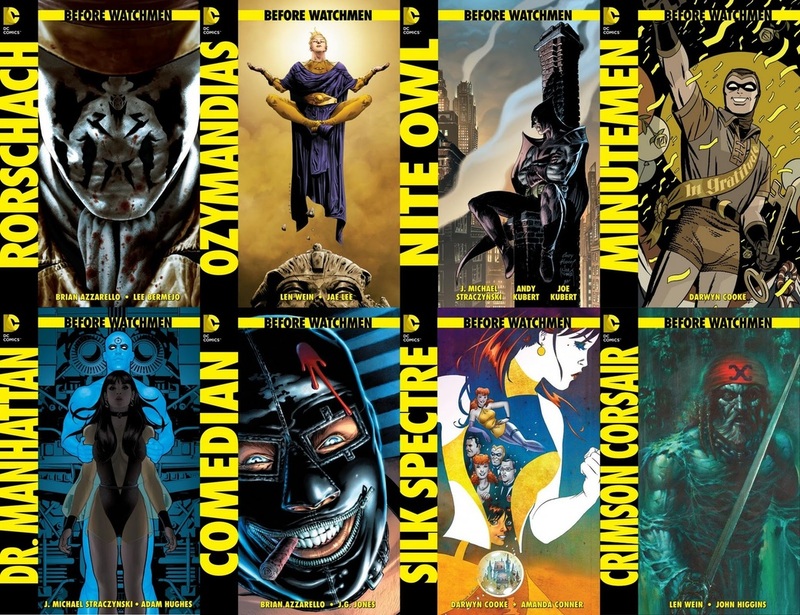 Following months of rumors about a potential Watchmen follow-up project, in February 2012 DC announced it was publishing seven prequel limited series under the "Before Watchmen" banner: Rorschach, Minutemen, Dr. Manhattan, Comedian, Silk Spectre, Nite Owl, and Ozymandias. Among the creators involved: writers J. Michael Straczynski, Brian Azzarello, Darwyn Cooke, and Len Wein, and artists Lee Bermejo, J. G. Jones, Adam Hughes, Andy Kubert, Joe Kubert, and Amanda Conner. ​Every issue features a two-page installment of the backup series "Curse of the Crimson Corsair" that has been inspired by the Tales of the Black Freighter story-within-a-story from the original Watchmen, written by Len Wein and featuring art by original Watchmen colorist John Higgins. The project was planned to conclude with a Before Watchmen: Epilogue one-shot, but it was never written. ''Let's make it as unexceptional as possible.' Like I say, they're doing this because they haven't got any other choices left, evidently." 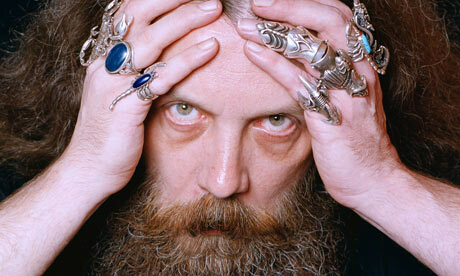 Eventually, the project consisted of eight limited series (adding ''Moloch'') and a one-shot titled ''Dollar Bill''. The Before Watchmen: Epilogue one-shot that was initially planned but later cancelled was supposed to feature a Crimson Corsair story (written by Len Wein and drawn by John Higgins). Higgins has also written and drawn the Crimson Corsair back-up features that appear in many of the Before Watchmen publications. Also includes Dollar Bill #1.